In Dublin on a sunny﻿ summer morning. If I do not have a real Toyboy on hand to chat to, I find one to talk at! Do you think he is listening? Grafton Street is changing, even Molly Malone has moved to make way for the cross-city Luas project. This entry was posted in Uncategorized on May 17, 2014 by Grannymar. Ah, “coffee at eleven!” Love to see it some day. By the way it is 11am here in Walla Walla, Washington, USA and I’m having a cup of coffee to your video. Celia, I hope you enjoyed your elevenses in Grafton Street, even if it was virtual visit! WWW, from nine months to ninety, they are all my Toyboys. I met a wonderful three year old on the bus journey home. He chose to sit beside me as his mother struggled with folding a buggy and an even younger child. I offered to hold the little sister on my knee until all was sorted. My young companion kept me entertained all the way home. I love your choice in men! Dianne, I met a great variety of Toyboys last week, all wonderful in their own way. You’re holding that guy spell-bound . . . you caught his ear . . . he’s hanging on your every word. 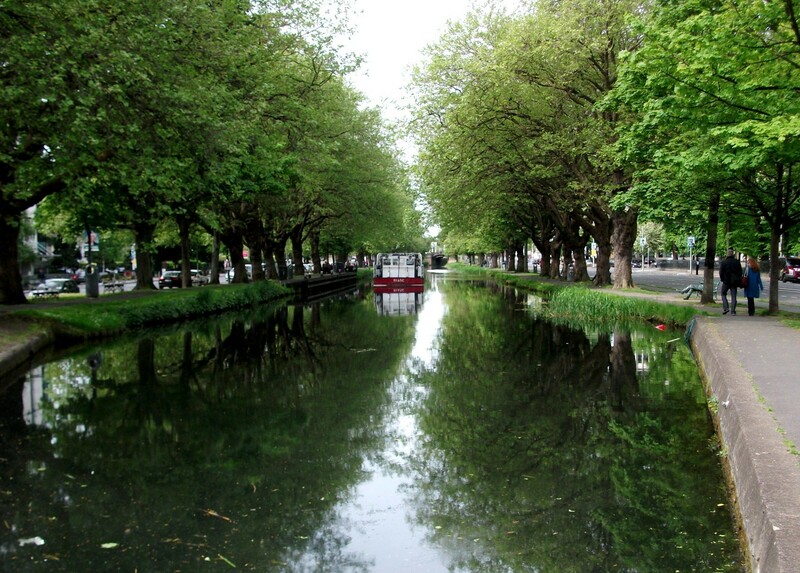 Nancy, to see the bonze sculpture of Patrick Kavanah on his bench, at the Grand Canal, Dublin,and a little info about about the man, take a look at a post I wrote: On the Bench. 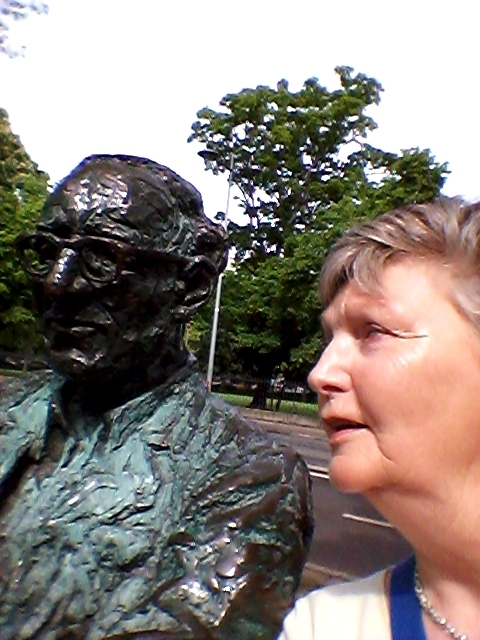 In real life, Patrick Kavanagh found inspiration on the banks of the Grand Canal. A captive audience is better than no audience. Looks like a beautiful day, thanks for the ride along! That poor sod does not really have a choice does he. If you are talking at him, he better listen very carefully. Maybe it went in one ear and out the other! We learned the song Molly Malone in sixth grade. I knew she sold fish in Dublin’s fair city, where girls are so pretty! Yes it was a regular song from my childhood too. He SHOULD be listening, but I don’t think he’s going to respond. What a great post to enjoy with morning coffee. I love your sense of humor, and the pictures are excellent! Marylin, he may not have liked my babbling. 😉 I was early for my appointment so sat for a few minutes to enjoy the peaceful surroundings. Such a pretty green color to the trees in your photo. Ireland is pretty in May. Gigi, it was a beautiful sunny day and I was making the most of every minute.